The above notice was published less than a year after Ella and Nicholas were married, as they were united in matrimony 28 December 1887. The Funeral Will Take Place Today at the Catholic Church. 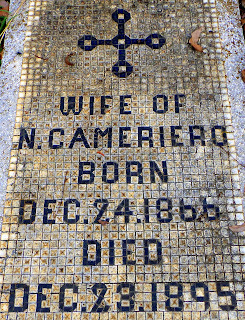 Mrs. E. N. Cameriero died at the residence, 418 Mulberry street, yesterday. The interment will take place today, the funeral services to be held at St. Joseph's Catholic church at 9:30 o'clock. 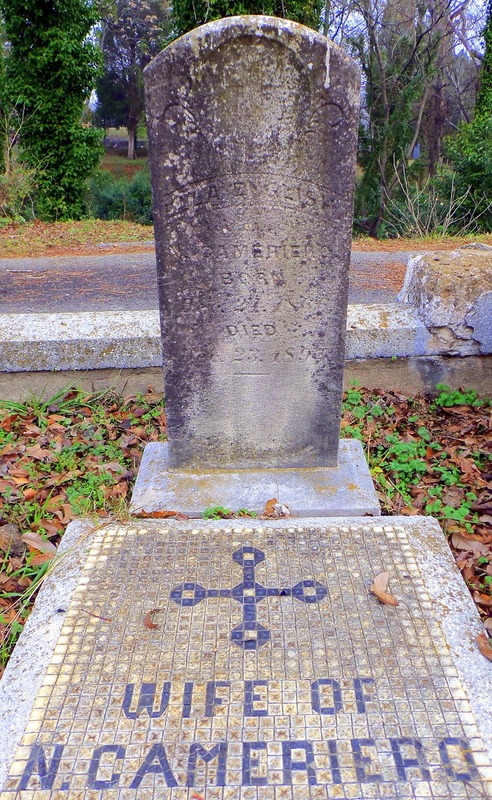 Mrs. Cameriero was well known in Macon, where she spent the greater portion of her life. Before her marriage she was Miss Ella English. 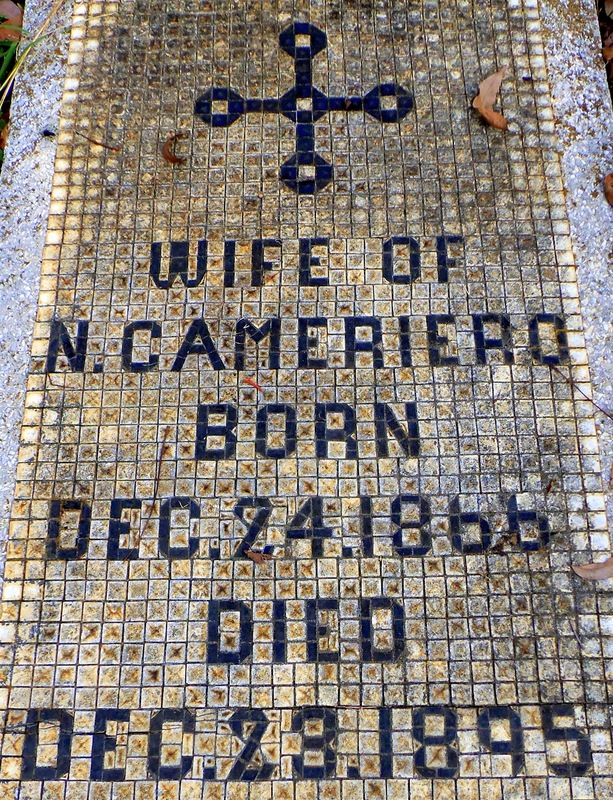 Mrs. Cameriero's Funeral Occurred on Her 29th Birthday Anniversary. The death of Mrs. E. N. Cameriero was peculiarly sad. On her 29th birthday anniversary she was buried in Rose Hill cemetery. She had been a loving wife and a devoted Christian, being a member of the Roman Catholic church. Her bereaved family consist of a sorrowing husband, and two little chldren, one little babe only a few hours old when its mother died. The other child is a bright little boy. Mrs. Cameriero's mother lives in Atlanta. How sad and very interesting. Many of the old graves hold a story, unlike those of today. This lady obviously died in child birth.. So long ago and probably forgotten by many, and now remembered by you. Mrs. Ella Cameriero was married to my GGGUncle. Since I read this post in 2012, I have been working hard to locate the infant child she left behind. We, as the family, had never heard of this second child. I have been unable to locate said child but am still working very hard at this.